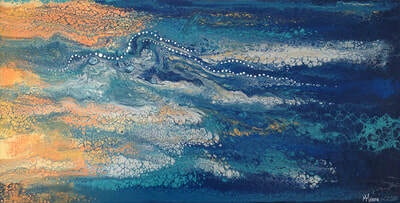 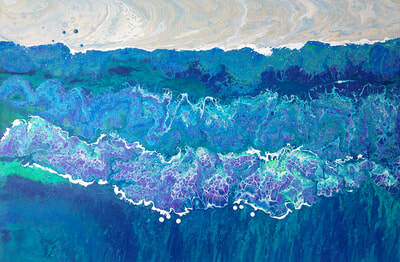 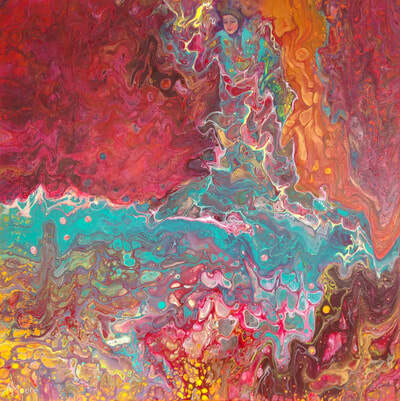 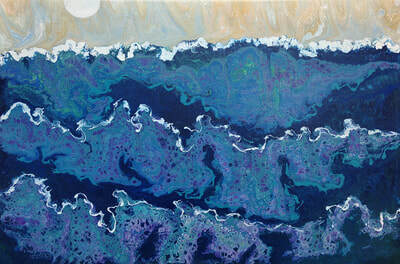 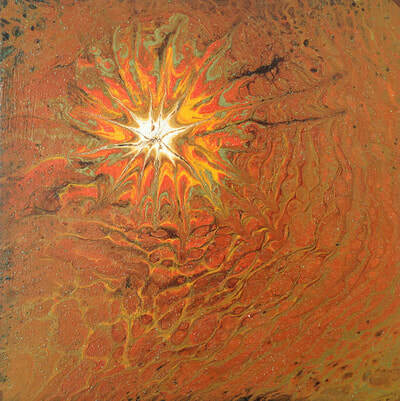 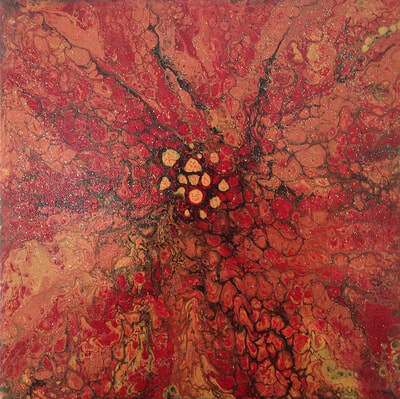 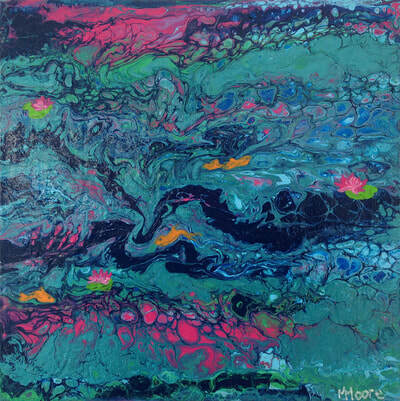 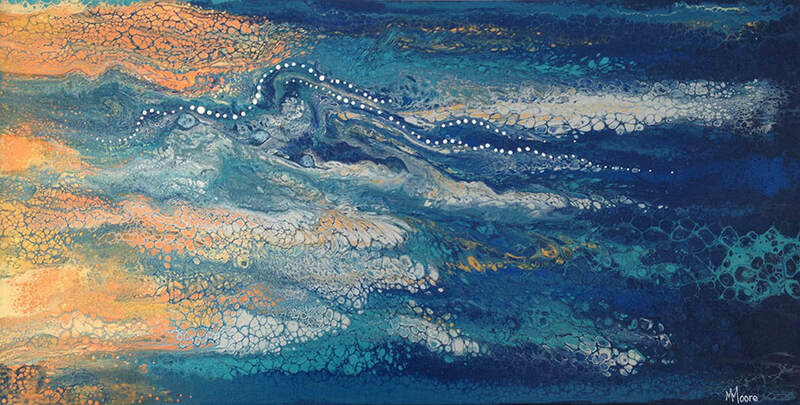 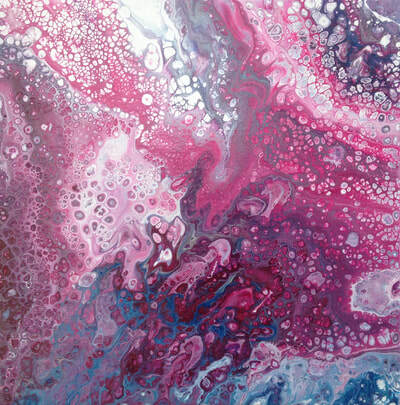 All acrylic fluid art is created on quality gallery canvas, with dust shielded backing paper and D-hook hanging wires. 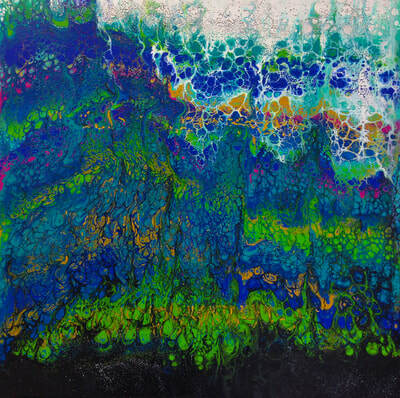 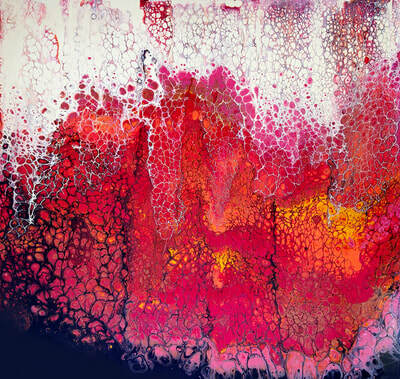 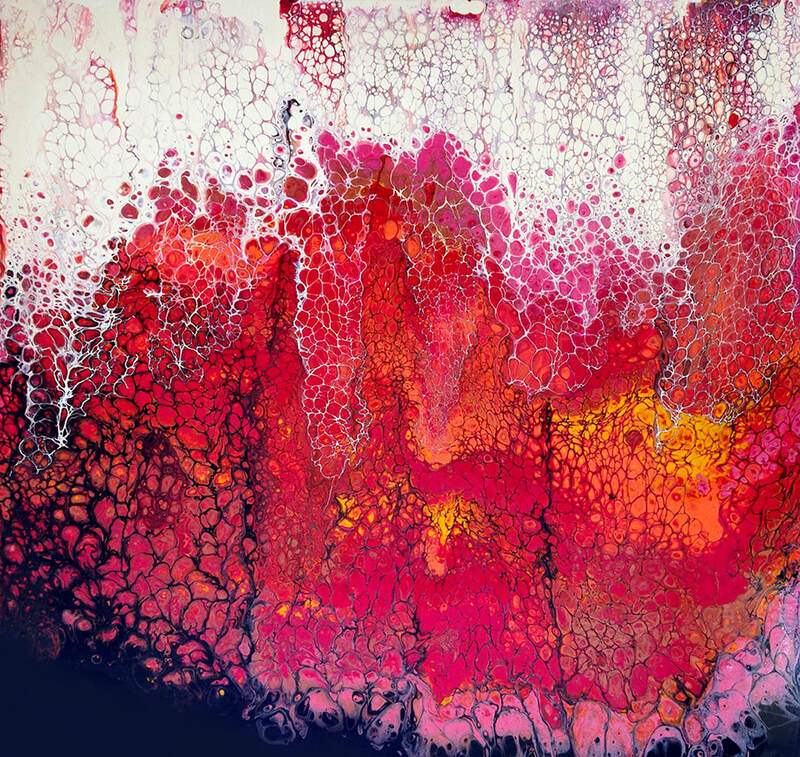 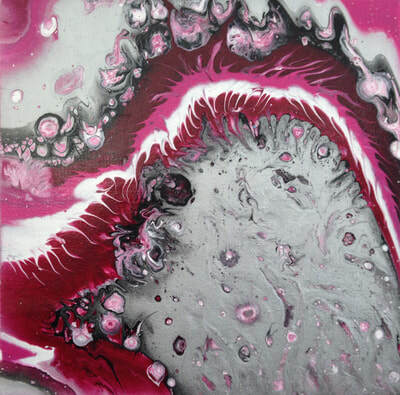 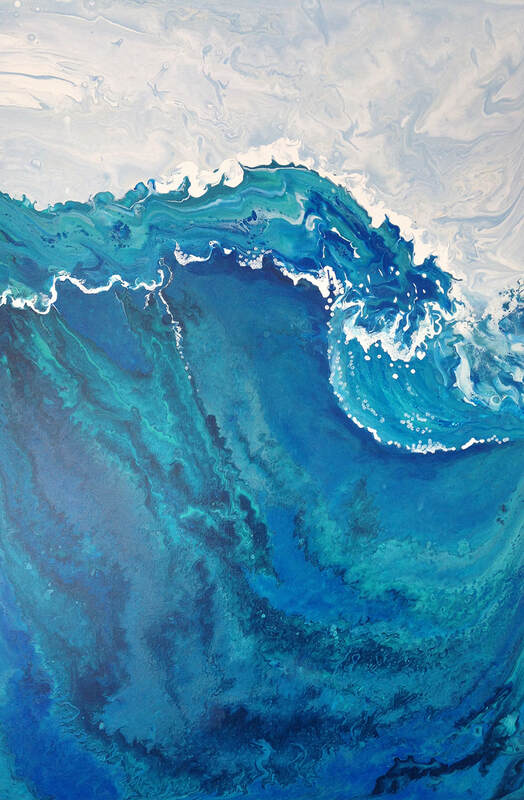 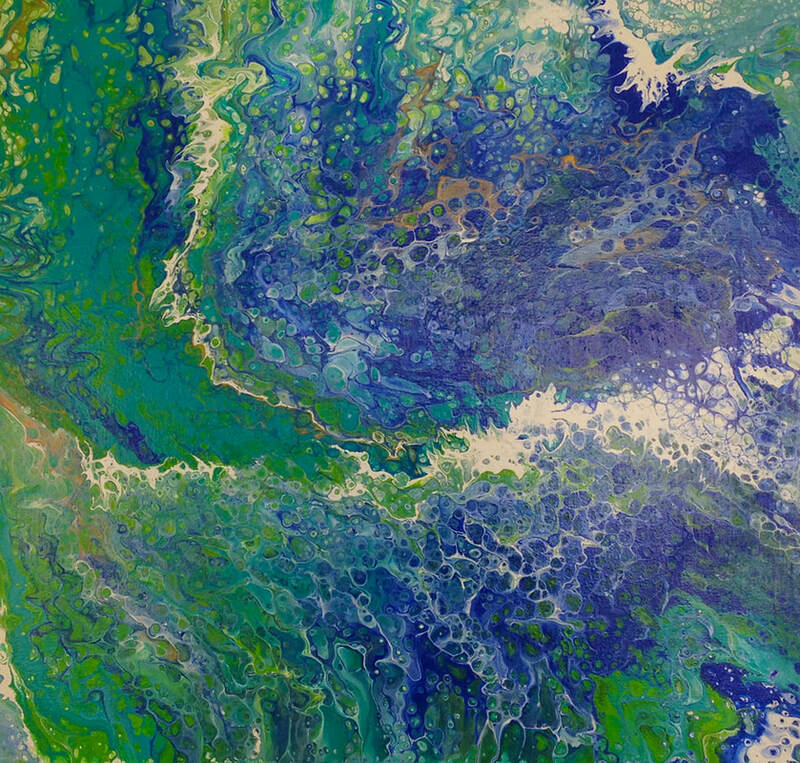 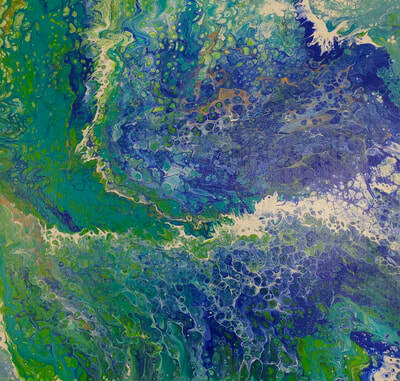 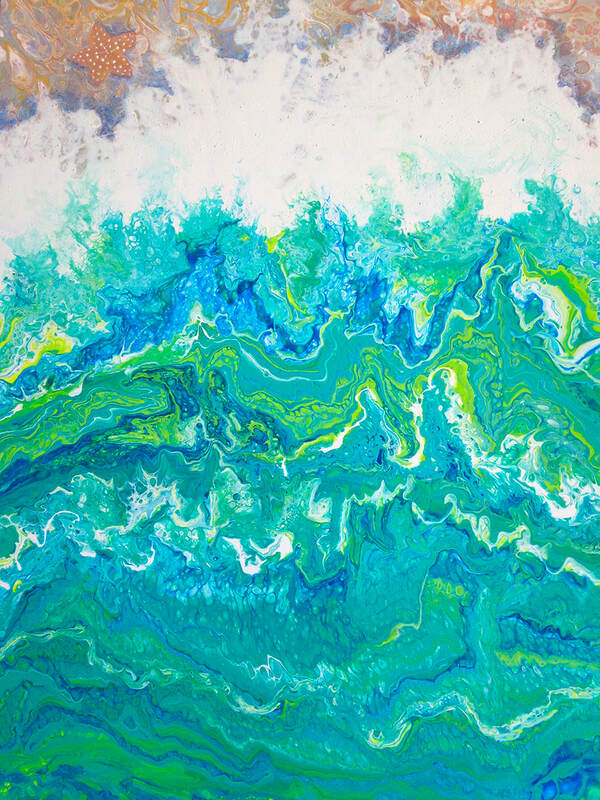 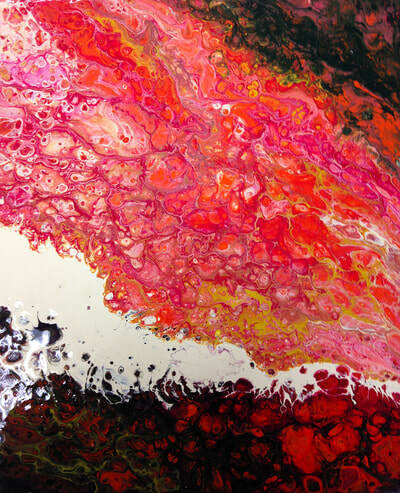 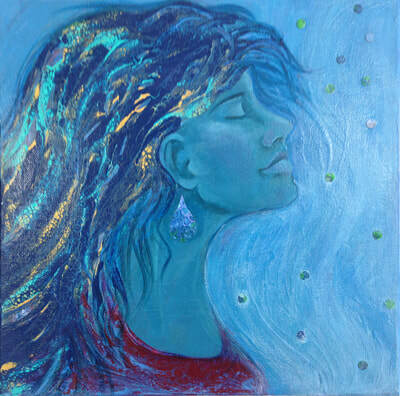 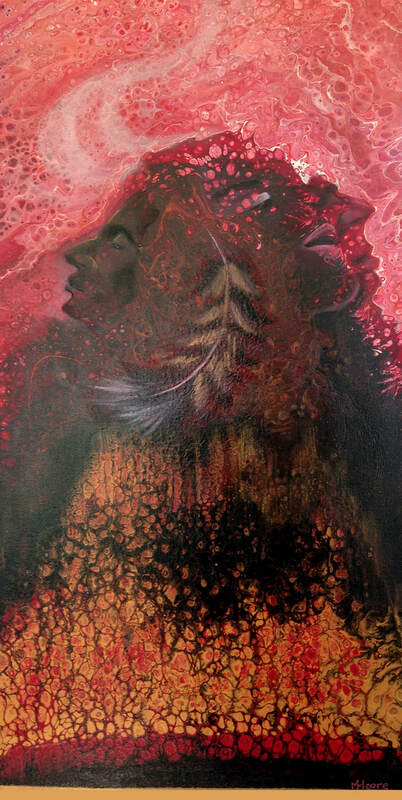 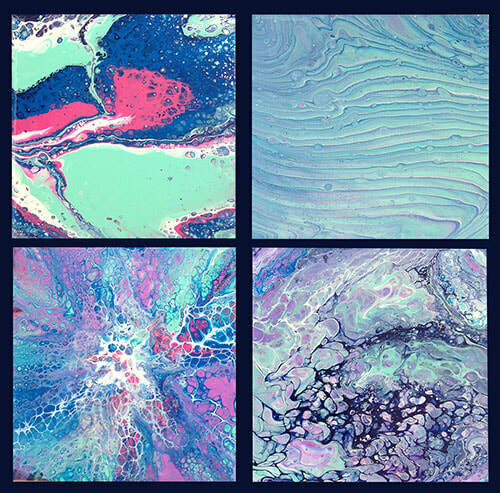 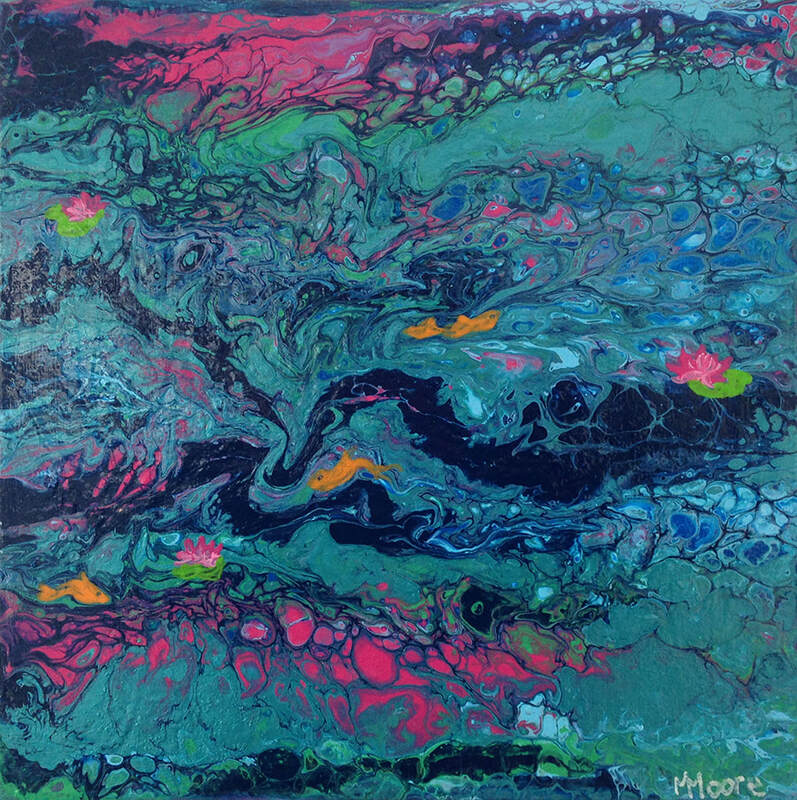 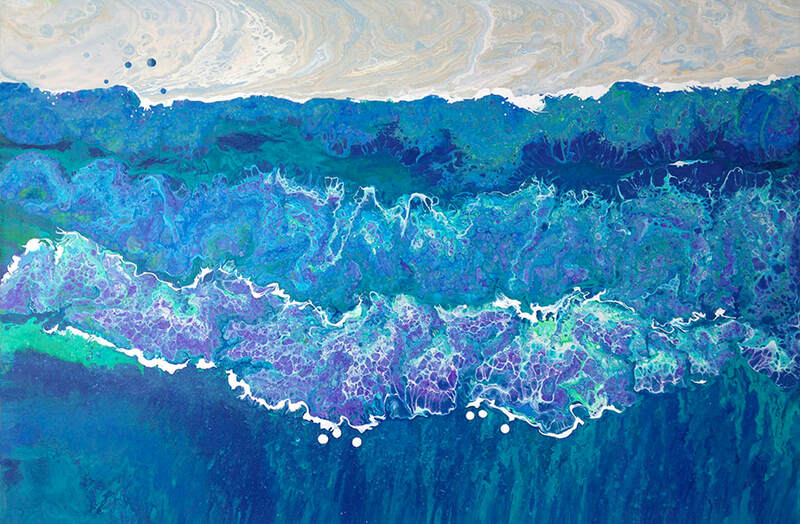 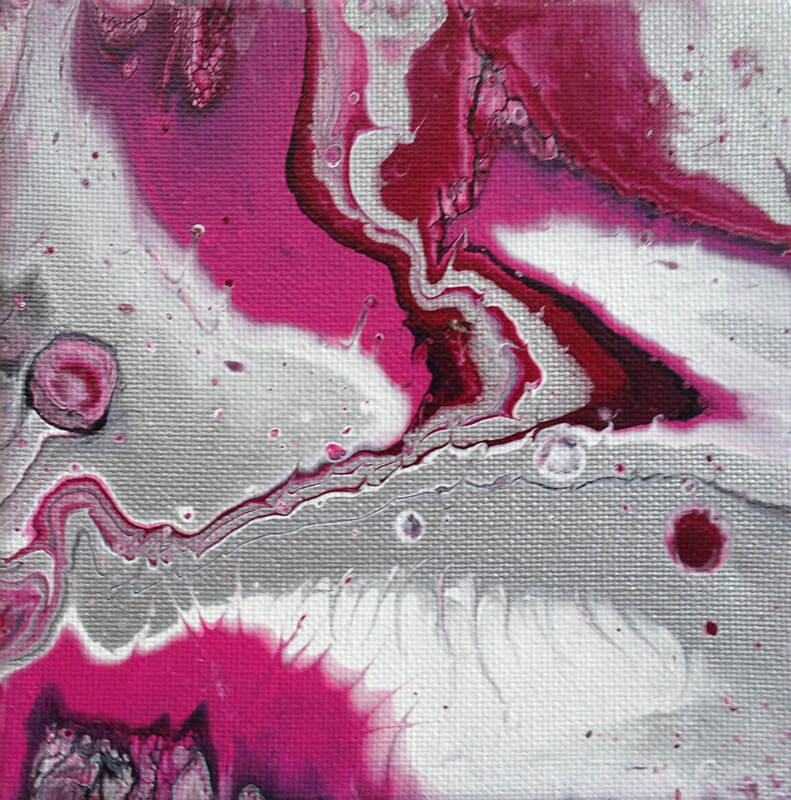 Fluid acrylic painting is a process wherein acrylic paint is combined with a variety of additives to achieve a flowing viscosity, and other effects. Careful paint preparation is a must – too thick and the flow will not be optimum, too thin and the outcome will be poor. 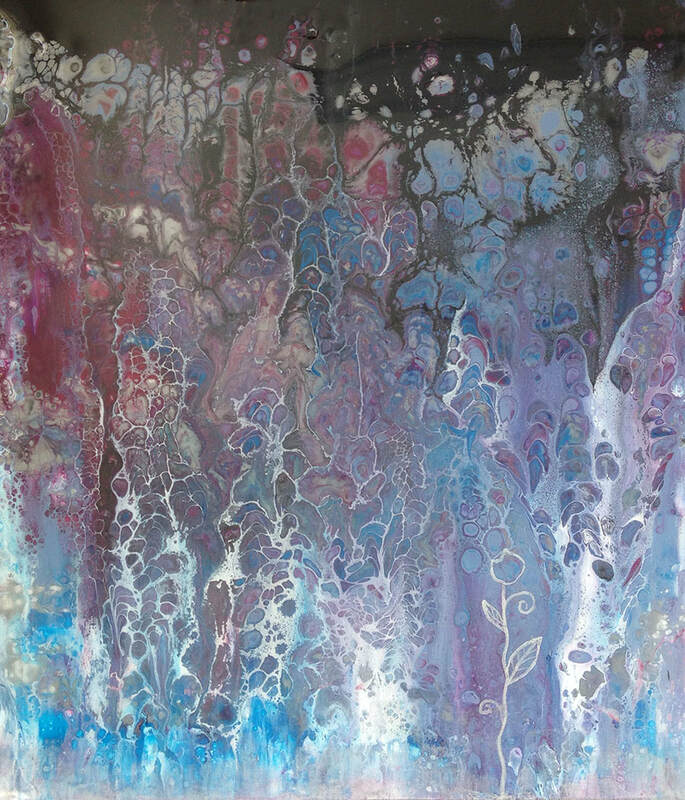 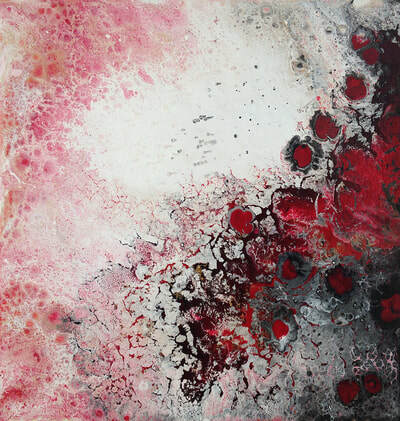 There are a variety of techniques one can explore, and the processes have developed their own vernacular; dirty pour, swipe, push-and-pull, puddle pour and more. 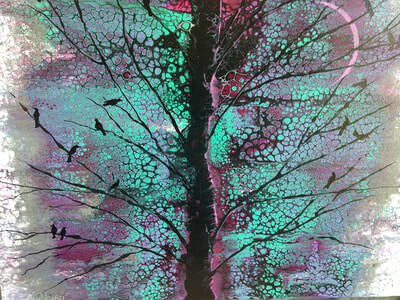 For me, inspiration can be drawn from my surroundings, a desire to explore a colour palette, or an imaginative vision. 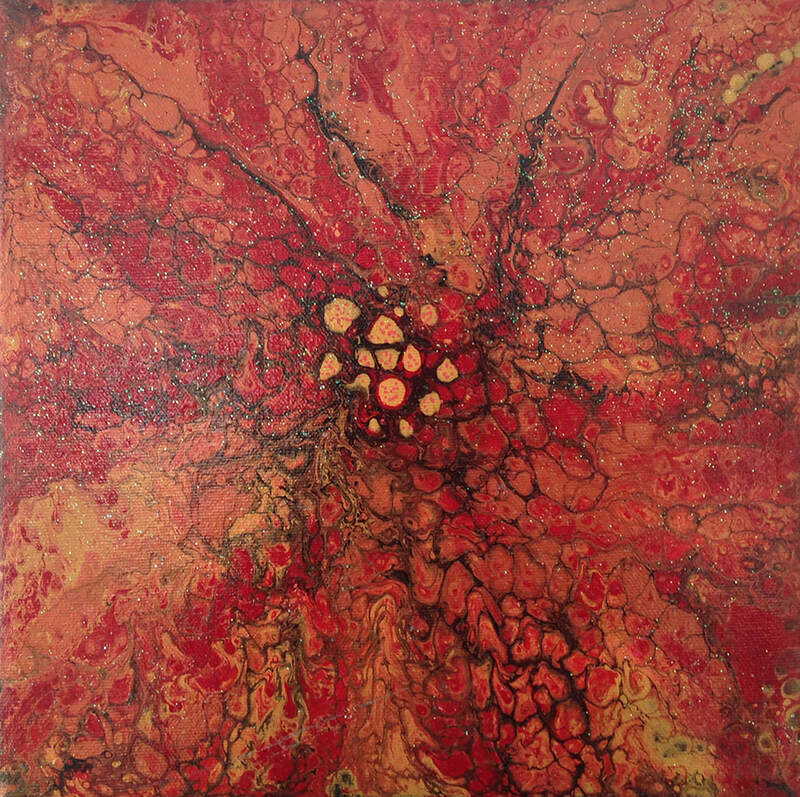 Planning takes place in the preparation stages in particular. 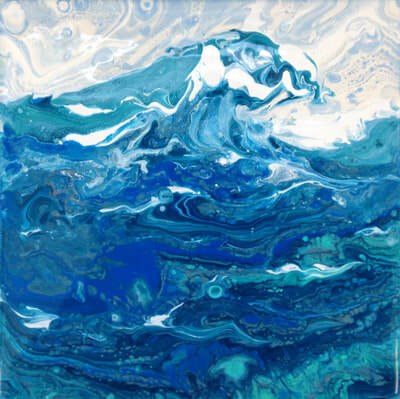 Smaller pieces are accomplished in one 'take' – hit or miss. 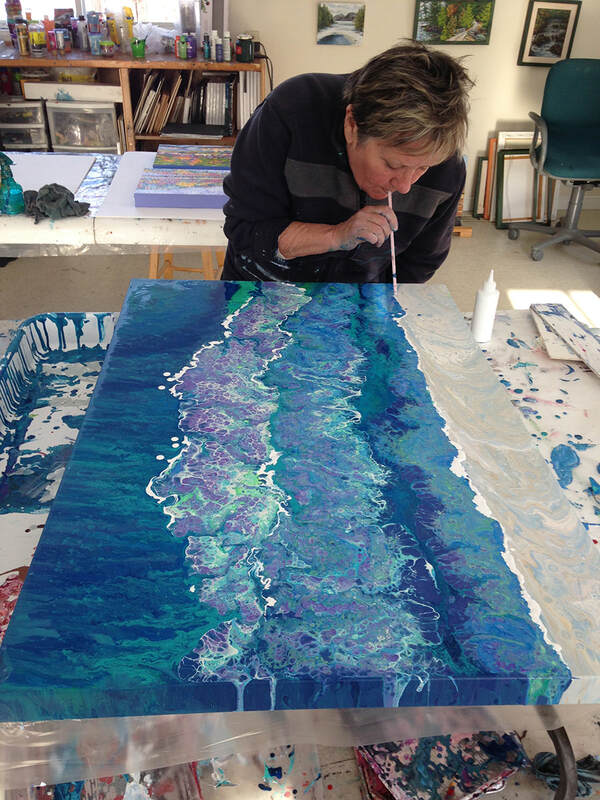 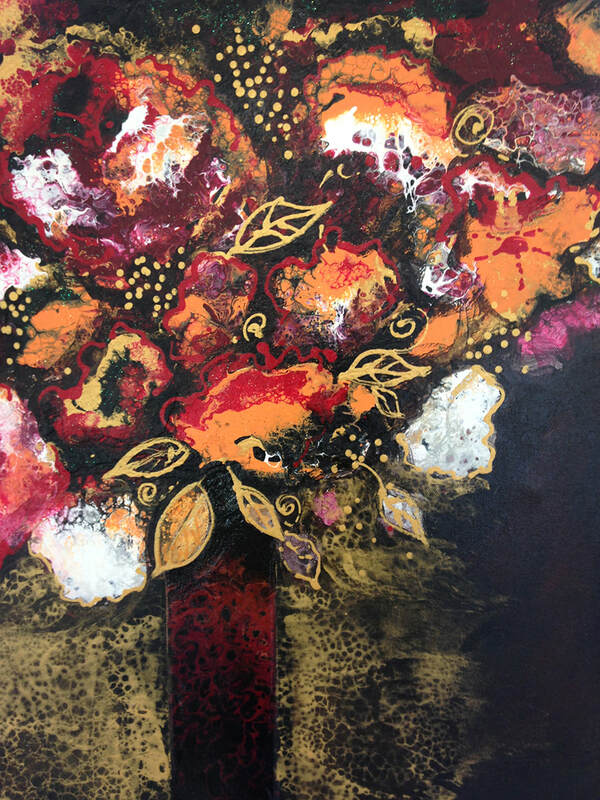 Larger pieces can be staged, as handling larger canvases demands effort and care. Fluid painting will be keeping me occupied for some time to come!